So it was refreshing to hear a call, as I did last week, for companies to get more involved, not in party politics or the direct business of government but in defending the space for civil society to operate freely. That came during an event we at Corporate Citizenship organised with Danny Sriskandarajah, secretary general of CIVICUS, the global alliance of over 3,600 civil society organisations and activists working to strengthen citizen action and civil society around the world. The event was under Chatham House rules, so I won’t attribute points of view. But the picture that emerged was clear – and sobering. Almost six billion people live in countries where today there are serious violations of freedoms of expression, assembly and association. In creating the first-ever global dataset on civic space, CIVICUS found violations of these rights taking place in 106 countries – well over half of all UN Member States. Before you jump to the conclusion that this is only happening among the usual suspects in far away places, consider that countries such as the UK, Canada and USA also made it onto the list of countries where rights have narrowed, even if not been repressed or obstructed. Still, the most egregious examples are in countries where independent mechanisms to protect the rule of law are not the norm. There, moves to curtail nongovernmental groups often start with the use of specially targeted legislation on ‘foreign agents’. Examples abound from around the world – Save the Children accused of “anti-Pakistan” activities; Amnesty International and People’s Watch in India restricted through the Foreign Contributions Regulation Act; in Russia the ‘foreign agents’ law used against over 150 organisations, while in China repression of human rights activists also linked to registration of ‘foreign’ NGOs. In Europe, the George Soros-founded Central European University in Hungary is facing restrictions or closure. Does any of this matter to business? Failure to uphold the fundamental rights that enable people to act collectively and make changes in society may be regrettable, but is it the job of business to defend the three-fold freedoms of association, of peaceful assembly and of expression? In fact, won’t these pesky NGOs just use those freedoms to get together, hold protests and ask lots of awkward questions? The answer is – yes they will, and that’s the point. Open criticism is the necessary price of democracy, and democracy gives you a stable and predictable basis on which to invest, trade, make a profit and distribute your surplus. It gives you an independent judiciary through which you can enforce your contracts. It dramatically reduces the incidence of bribery and corruption that distorts markets and loses you tenders which you would otherwise have fairly won. And it allows you to respond and rebut criticism you think unfair from pesky NGOs. 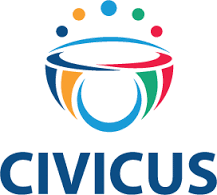 So the message from CIVICUS is that business needs to become more active in defence of civil society around the world. That means forming new types of partnerships, where civil society organisations can both criticise and work constructively with business. An example of how not to do it is Pepsi’s superficial support of generic social movements in a recent advert, using imagery that was particularly evocative of Black Lives Matter protests. Hollow product placement in the heart of a fictional civil society struggle received such a backlash online that Pepsi has since pulled the ad. In this era of deep scepticism and a thirst for authenticity, companies need to be clear about their purpose and transparent in their behaviours, with documented codes of business principles explicitly addressing the terms of their engagement, what they are doing and why they are making an express ‘preferential option’ for open civic space. Something of substance, beyond a can full of sugary soda. Equipping people to speak truth unto power can sometimes be uncomfortable but is ultimately rewarding. The alternative is worse: first they come for NGOs, then they come for you. This entry was posted in Business, Together. Bookmark the permalink.